The Authority is in flames. TruBlood is in short supply. As Bill comes to terms with his newfound powers after emerging reincarnated from a pool of blood, humans are in open conflict with vampires like never before. Meanwhile, Sookie and Jason must steel themselves for an encounter with their parents’ killer: the mysterious and ancient Warlow. The hit series TRUE BLOOD kicks off its ten-episode sixth season SUNDAY, JUNE 16 (9:00-10:00 p.m. ET/PT), exclusively on HBO, followed by other new episodes on subsequent Sundays at the same time. 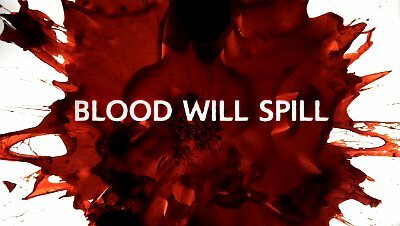 Mixing romance, suspense, mystery and humor, the show takes place in a world where vampires and humans co-exist, after vampires have come out of the coffin, thanks to the invention of mass-produced synthetic blood that means they no longer need humans as a nutritional source. The series follows waitress and part-faerie Sookie Stackhouse (Anna Paquin), who can hear people’s thoughts, vampire Bill Compton (Stephen Moyer) and vampire Eric Northman (Alexander Skarsgård). Alan Ball (creator of the Emmy(R)-winning HBO series “Six Feet Under”) created the show, which is based on the bestselling Sookie Stackhouse novels by Charlaine Harris. Other returning cast members on TRUE BLOOD include: Ryan Kwanten as Sookie’s trouble-prone brother, Jason Stackhouse; Rutina Wesley as Pam’s newly-turned progeny, Tara Thornton; Sam Trammell as Sookie’s shape-shifting boss, Sam Merlotte; Nelsan Ellis as Tara’s clairvoyant sharp-tongued cousin, Lafayette Reynolds; Carrie Preston as Arlene Bellefleur, a Merlotte’s waitress; Todd Lowe as Terry Bellefleur; Chris Bauer as Terry’s cousin, sheriff Andy Bellefleur; Deborah Ann Woll as Jessica Hamby, Bill’s vampire progeny; Kristin Bauer van Straten as Pam, Eric’s vampire progeny and business partner; Lauren Bowles as Holly, a Merlotte’s waitress; Joe Manganiello as werewolf Alcide; Michael McMillian as vampire Steve Newlin; Lucy Griffiths as Nora, a former chancellor of the Vampire Authority; Kelly Overton as werewolf Rikki; and Anna Camp as anti-vampire crusader Sarah Newlin. New cast members for season six include: Arliss Howard as La. Governor Truman Burrell; Rob Kazinsky as Ben, a stranger with faerie ties; Rutger Hauer as Niall, a faerie grandfather; Jurnee Smollett-Bell as Nicole, a pro-vampire activist; and Amelia Rose-Blaire as Truman Burrell’s daughter, Willa. “True Blood: The Complete Fifth Season” was released on DVD and Blu-ray May 21. TRUE BLOOD was created by Alan Ball; based on the Sookie Stackhouse novels by Charlaine Harris; executive producers, Alan Ball, Brian Buckner, Gregg Fienberg, Mark Hudis,Alexander Woo and Raelle Tucker; co-executive producers, Angela Robinson and Rob DesHotel; supervising producer, Robin Veith; co-producer, Christina Jokanovich. What do you think? Will you be tuning in to watch HBO’s biggest series? I wish I could be excited about this but I am not. Season 5 was terrible! Nevertheless, I will take a look.